I joined the 2mm Association in the late nineties after seeing a 2mm layout and being able to compare that to N gauge. It was the more realistic look of track and wheels that persuaded me to join. 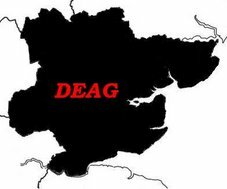 I have been planning a layout of Ongar at the end of the GER branch from Epping. I plan to build this as it was in LNER days before it was electrified and taken over by London Transport. A track plan can be found here. The track plan evolved from the 1895 version shown e.g. the turntable was removed in 1917 and additional sidings were added. I am currently in the process of designing the track layout using TEMPLOT. I was Shop 2 Shopkeeper for a few years and this slowed down my rate of progress. Since passing the shop on I have been able to get back to modelling and have made quite a bit of progress. I have been building quite a few wagons, including some GER cattle wagons, which all now need painting – pictures will follow in due course. My most recent project is three Air Ministry Tank wagons built from the 2mm Association kits. The wagons are now awaiting painting before the remaining details are added and can be viewed here. A further update will follow soon. No mention of your loco or are you saving this for later?